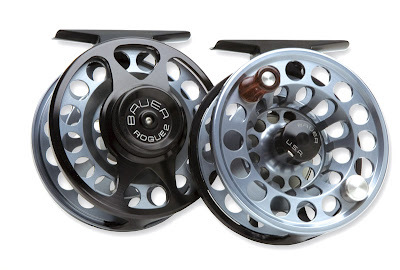 The Spot is having a sale on Abel and Bauer Reels while stocks lasts. Mac Kenzie CFX: Regular Price $310-$415 30% off Retail. Fish Graphic reels & colored reels are on sale at Black reel prices! 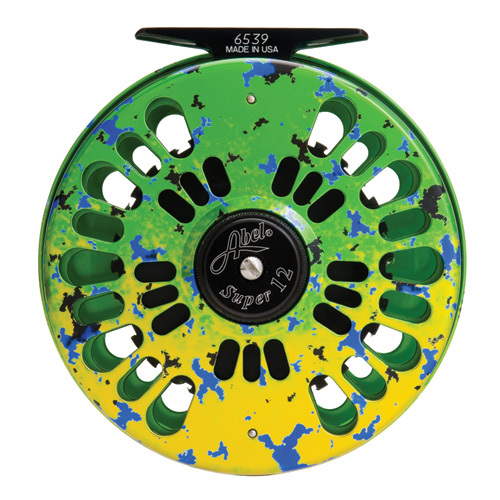 This is a great savings on a reel that will last a life time. The sale is limited to stock on hand. Please call the shop, or stop by for pricing on reel models. (818) 785-7306. *Note : " De Young reels not included" on the sale. Well, we survived Carmageddon and we had a great turn out for the presentations this past weekend, so a big thank you to those who came out to see us. 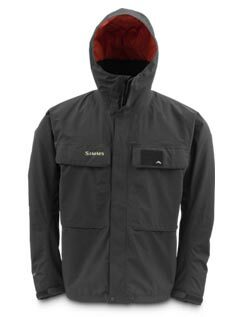 Each week we are receiving new products, so come on by and check out all our new goodies. 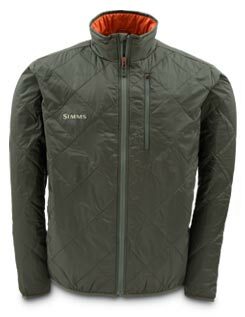 Some featured new products include the Simms Bulkley Jacket and Simms Fall Run Jacket, plus we have tons of new hats and underwear from Simms as well. July 15-19, Aug 26-30 and Sept 9-13. The last trip we did was amazing, and we sold out quickly, so please contact the shop for information or to book your slot for this amazing fishery. 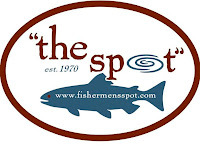 The Spot is offering an "Intro to Fly Fishing" class on Sunday, October 28th 2012. The class will start at 9am and will run until 4pm. 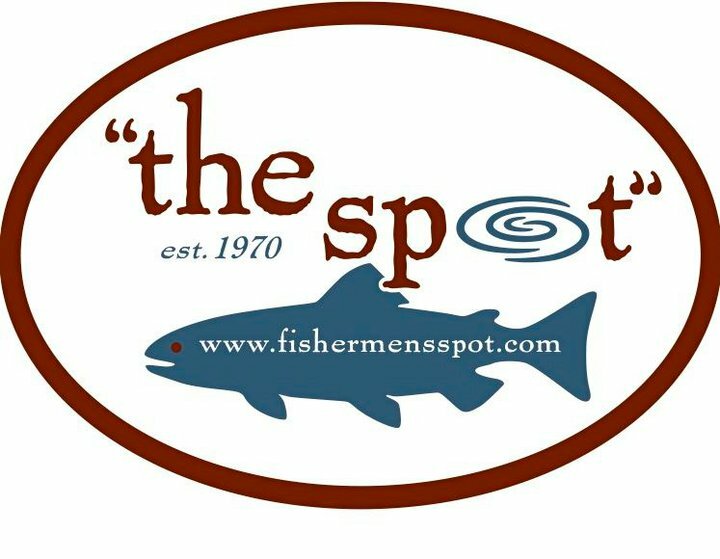 In this class, you will learn the beginning fundamentals and everything you will need to get a solid start in fly fishing. Cost per student is $125. Please call the shop if you would like to book your spot, or if you have any additional questions. Joe Libeu & Kathy Kim are offering "On the River Clinics" with a limit of 6 students per class. "The bite is on in the lakes up here in the Sierra’s, but you are going to have to hike to them. 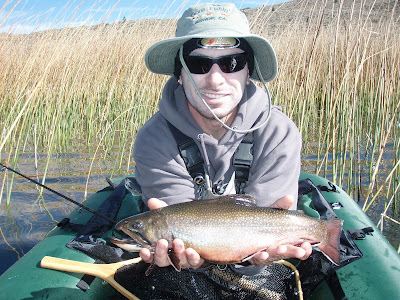 The big boys started to show up this last week, and we visited Kirman lake twice and caught some Jurassic air brushed Brook trout. These Brook trout reach up to 18 inches. The top fly last week was a size 12-10 Hornberg, or the olive Loweberg, all fished on an intermediate sinking line with a 7 ft leader of 2x. Thats right, 2x. These fish are not leader shy when fishing streamers. 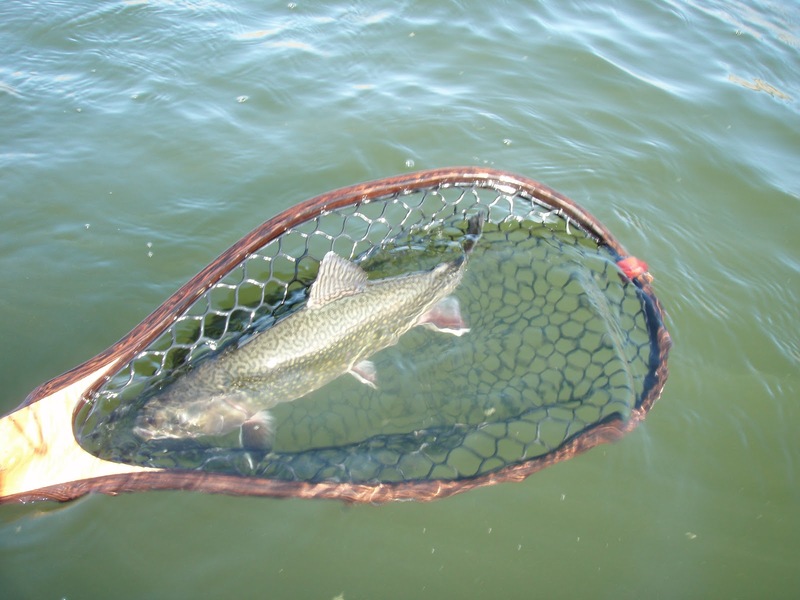 So, with Jurassic brook trout and Brute cutthroats up to 10lbs, you can leave the light tippet at home. 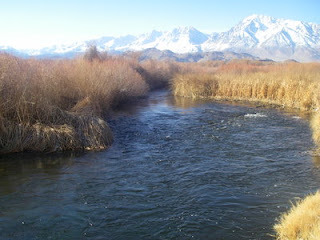 Pack up your float tube and your hiking boots and prepare for a 3 mile hike to a little piece of heaven right here in the Eastern Sierra's. "The surf has been big around the Santa Monica and El Segundo area, but it is starting to calm down as we move into fall. Anglers focusing more on the negative tide towards the evening have been doing well. Top flies are Olive/White and Blue/White clousers. Santa Monica beaches are fishing well, and surf perch are most popular species caught. Focus on the inside with most fish holding on the structure around 30 feet out. We are seeing perch averaging 4-10 inches. Halibut season is fast approaching and towards the end of October the halibut will be in full swing". Vaughn reported this. "The Longbeach break wall is still fishing really well for Calico Bass. The best bite, is first thing in morning, with Orange/Brown clousers and Olive Wool Head Sculpins. Catalina has been productive, and we got a big yellow tail last Sunday on a Blue/White surf candy. The Calico bite at Catalina has been good, but there is no sign of the bonito yet. The water has been to warm, and should show up in a few weeks or so. However, there are some nice mackerel around, and we have seen some anchovy moving in on the front side of the island so it should keep the mackerel around, and bring in the bonito. Bolsa Chica Beach has been good, and it has been fishing better than Huntigton Beach. The best times are the negative tide, just before dark. Yellowfin croaker at dusk, and during the day, it's all small surf perch. Top flies are Olive/White and Orange/Brown clousers all fished with 6-8 weight rods, and a 250-300 grain shooting head." That's it for this week. Stop by or call the shop and we'll see you soon.